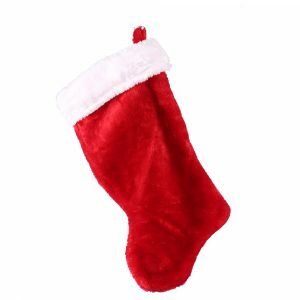 Start a child out right with this adorable Baby stocking in Blue and Pink. 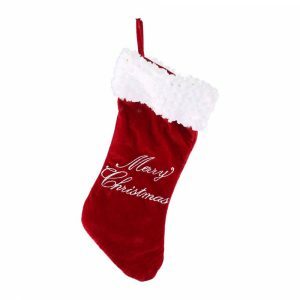 Each stocking measures around 30cm wide and is adorned with a design that will appeal to young and old alike. An adorable teddy bear holds a festively wrapped pink gift in his paws, against a baby blue background. The multi-coloured blocks across the top of the stocking spell out eBabye, which gives this accent item an age-appropriate touch. Give this to an expectant parent or a new child, and it will be cherished as a favourite family keepsake for years to come. This would also be a great way to wrap a gift for a young child, and you can tuck a small gift or two inside the stocking for a fun and reusable alternative to conventional wrapping paper. 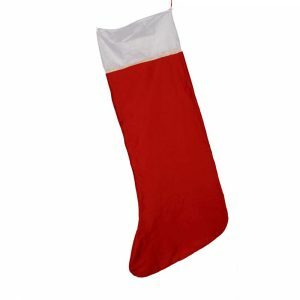 This stocking is darling and is a simple accent that will make the holidays even brighter!